It’s Day Two of British Flowers Week, folks! 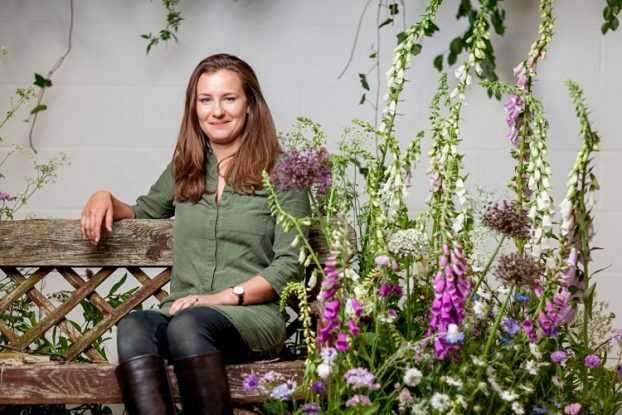 Meet Jennifer Pinder and feast your eyes on her three signature designs celebrating U.K.-grown flowers. 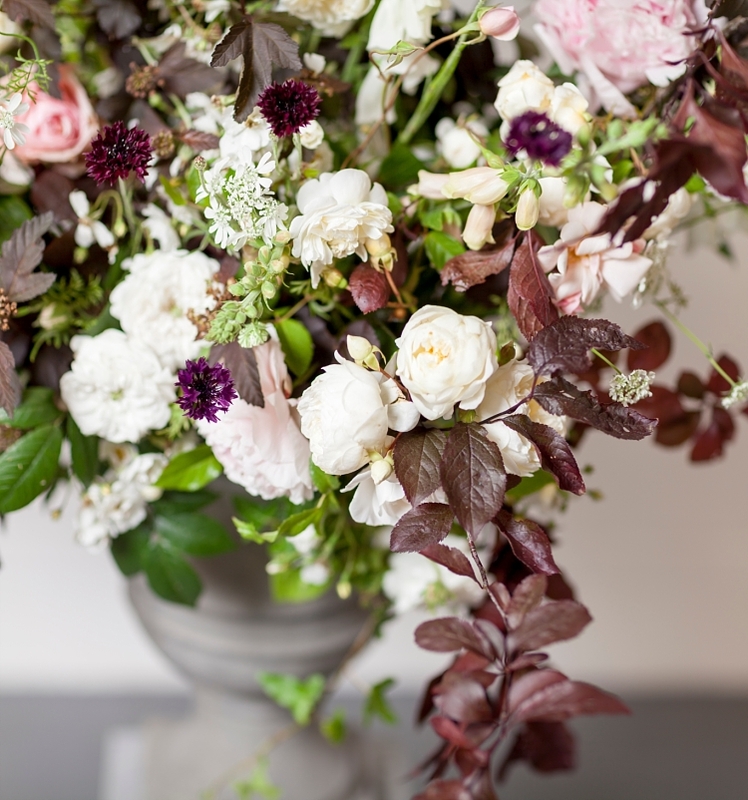 Passionate about British Flowers, Jennifer’s wild, luxurious and deeply romantic floristry style lends itself perfectly to using homegrown blooms. 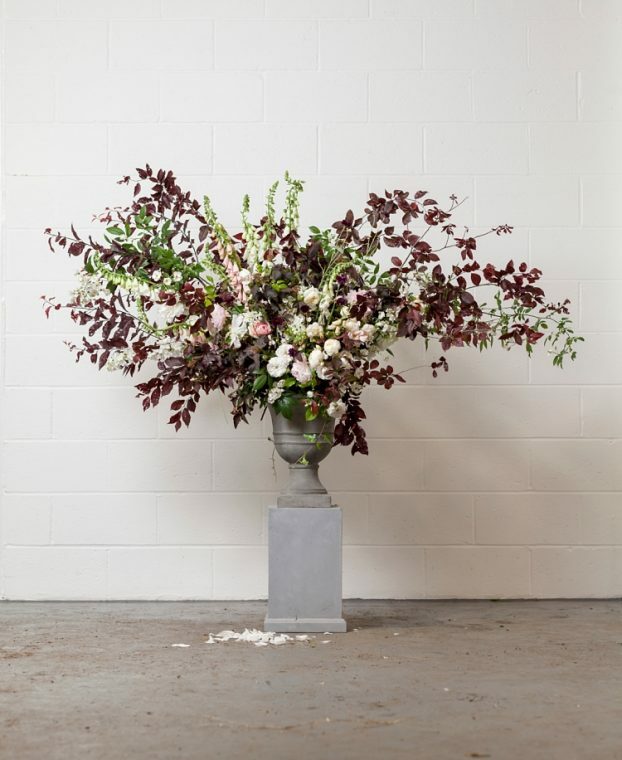 Each of her three stunning designs showcases the natural beauty which British cut flowers and foliage exude. Jennifer has made the transition from working as a lawyer in London to becoming a full-time florist in Kent. 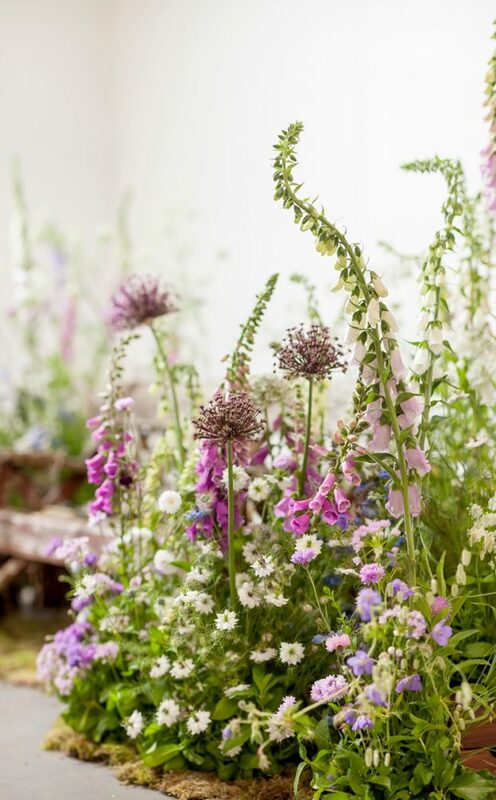 Championing British flowers, her business has bloomed with the help of her meticulous focus on posting beautiful images on Instagram. She’s wowing brides-to-be and florists alike with her stunning natural floristry style. 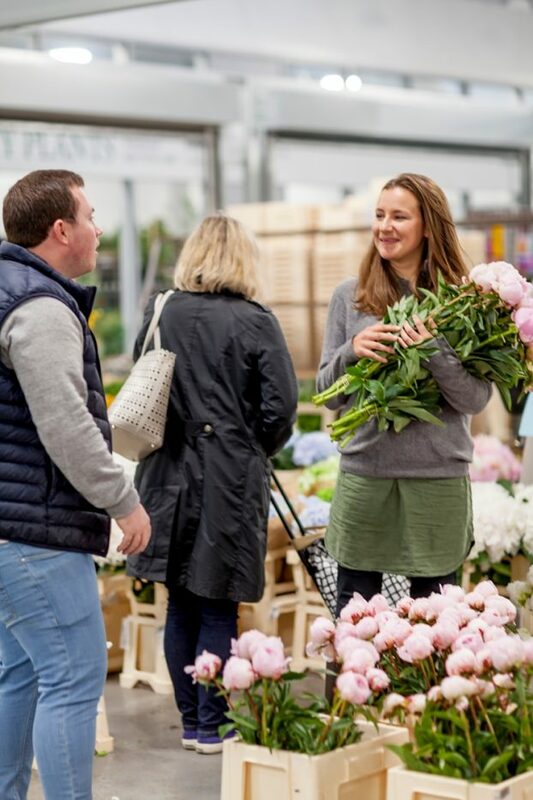 At the end of 2014, Jennifer left her job as a lawyer, set up her business The Brixton Flower Club, went full-time as a florist and started taking on small weddings. 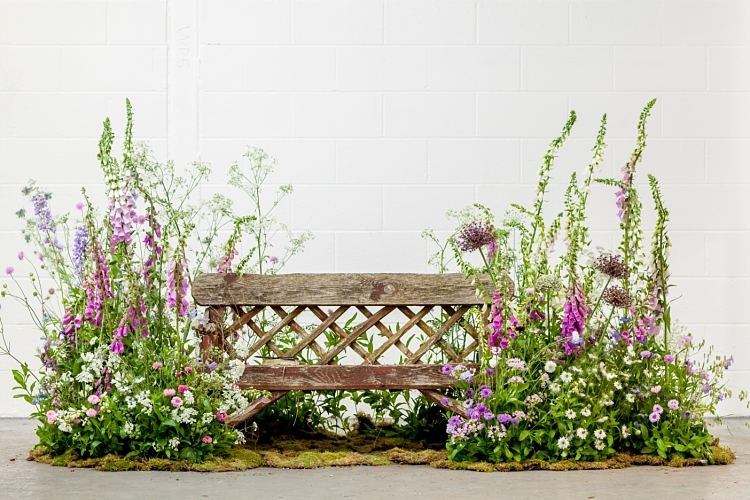 Read more about Jennifer’s approach to designing with locally-grown British flowers. Jennifer was inspired by meadows to create this installation celebrating British wildflowers. 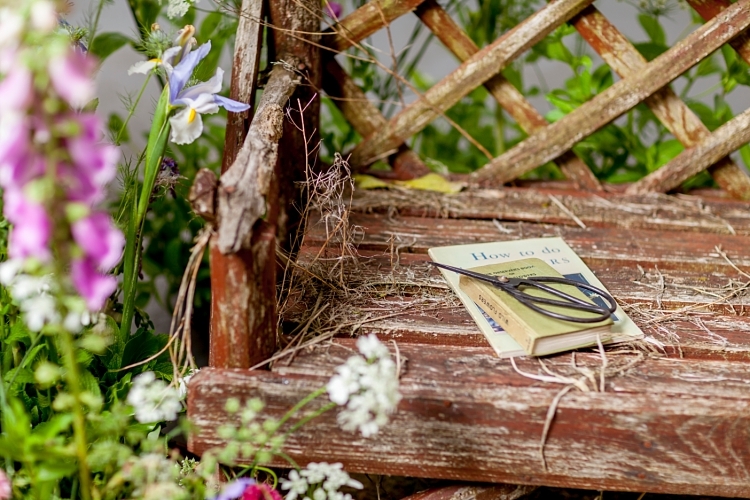 Detail of the rustic bench scene. Pink foxgloves and scabiosa, purple alliums and salvia, pastel coloured cornflowers, lilac delphiniums, geraniums, white orlaya grandiflora, cow parsley, nigella and irises, plus brizia, ivy and mint…all play important parts in this wonderful installation featuring an old rustic, weathered bench nestled in a meadow setting. “Buttonholes” for British Flowers Week. Drawing on the rich and long history of buttonholes, Jennifer has created three styles of buttonholes from various eras, with different symbolism behind each of them. There is much speculation but the tradition of buttonholes is thought to originate from Ancient Greece, when male members of the wedding party would wear small bunches of flowers, usually with fragrant herbs to ward off evil spirits. Here, stems of homegrown mint and lavender have been mingled to create a scented nosegay. Detail from Jennifer’s urn design. Known for her natural, rambling floral creations, Jennifer has created an exquisite urn design using chicken wire. Foxgloves, roses, peonies, delphiniums and orlaya grandiflora in a muted colour palette of white, cream and soft pink have been beautifully arranged, with cornflowers adding a dramatic splash of deep burgundy. And a wonderful variety of foliage in contrasting hues add texture and movement to the design. This entry was posted on Tuesday, June 20th, 2017 at 10:00 pm	and is filed under Blog Posts, Creativity, floral design. You can follow any responses to this entry through the RSS 2.0 feed. You can leave a response, or trackback from your own site.